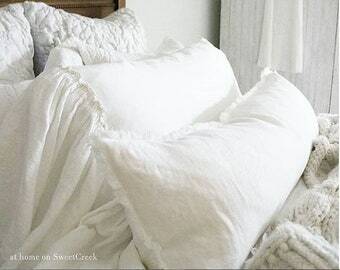 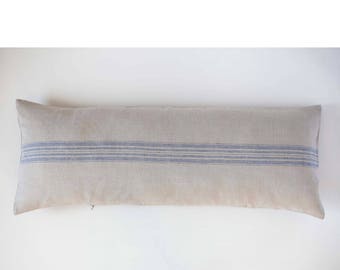 Long linen lumbar pillow cover for over sized pillows collection. 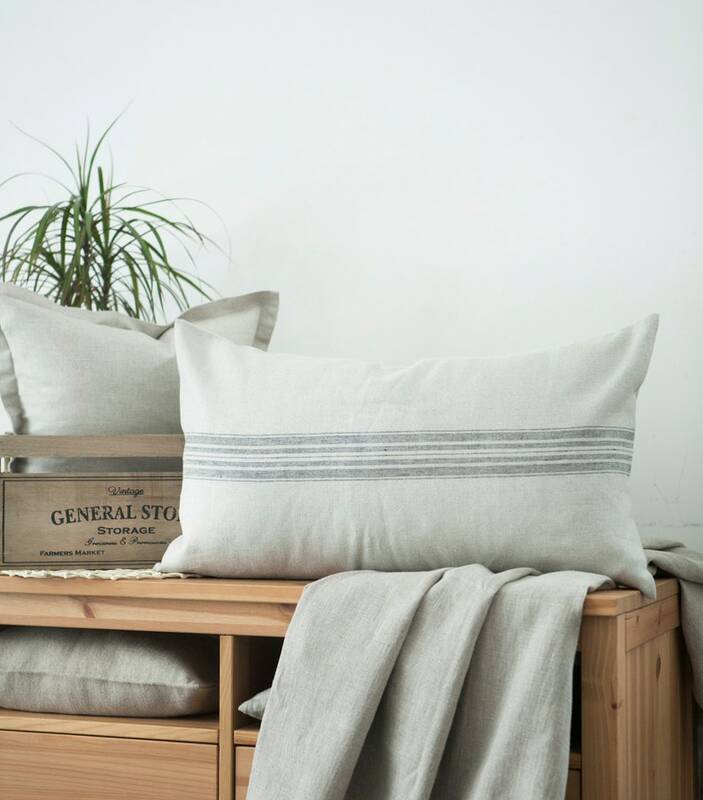 This grain sack pillowcase may be sewn in custom size. 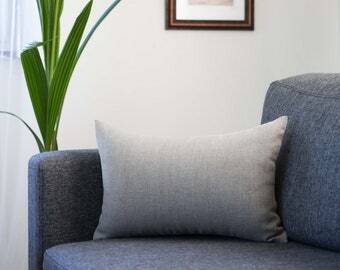 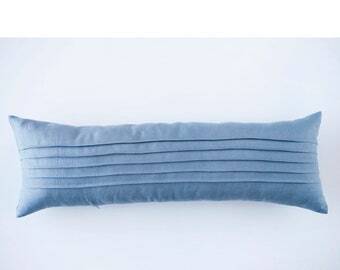 Very high quality NEW lumbar pillow cover from natural heavy weight rough linen. 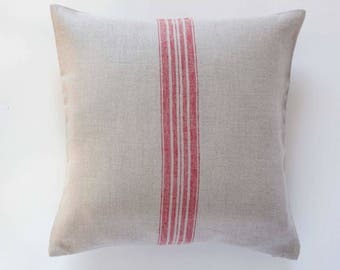 Fits farmhouse or country style interior. 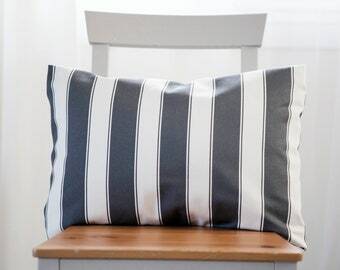 Also great choice for french style rooms and for beach houses. 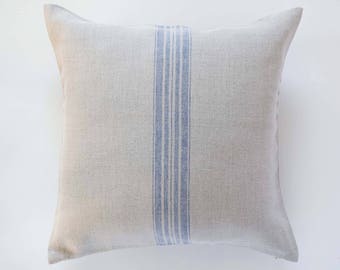 Rough linen feel. 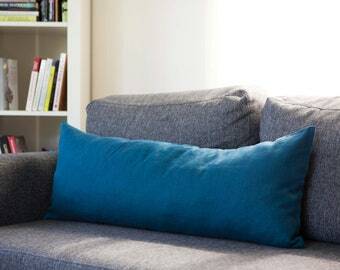 Very pleasant for touch but still decorative for sofa or bed pillows collection.